Greta Gerwig is receiving a lot of praises for her new film which she directed, 'Lady Bird' so we will be seeing her a lot this awards seasons. Last night(January 3rd) she attended the 2018 New York Film Critics Awards at Tao Downtown in New York. 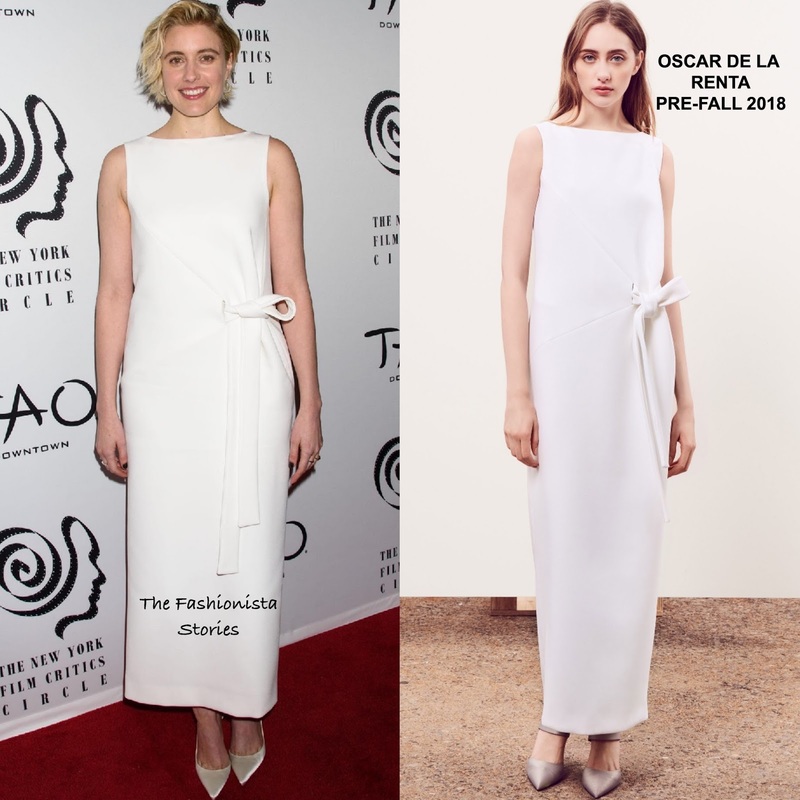 She hit the red carpet wearing a OSCAR DE LA RENTA PRE-FALL 2018 white sleeveless dress which stopped just above her ankles and featured a knot detail waist. This dress suits Greta style and has a better fit on her than the model. Beauty wise, she kept it simple with minimal make-up and a short layered, wavy cut which topped off her look along with CHRISTIAN LOUBOUTIN pumps.